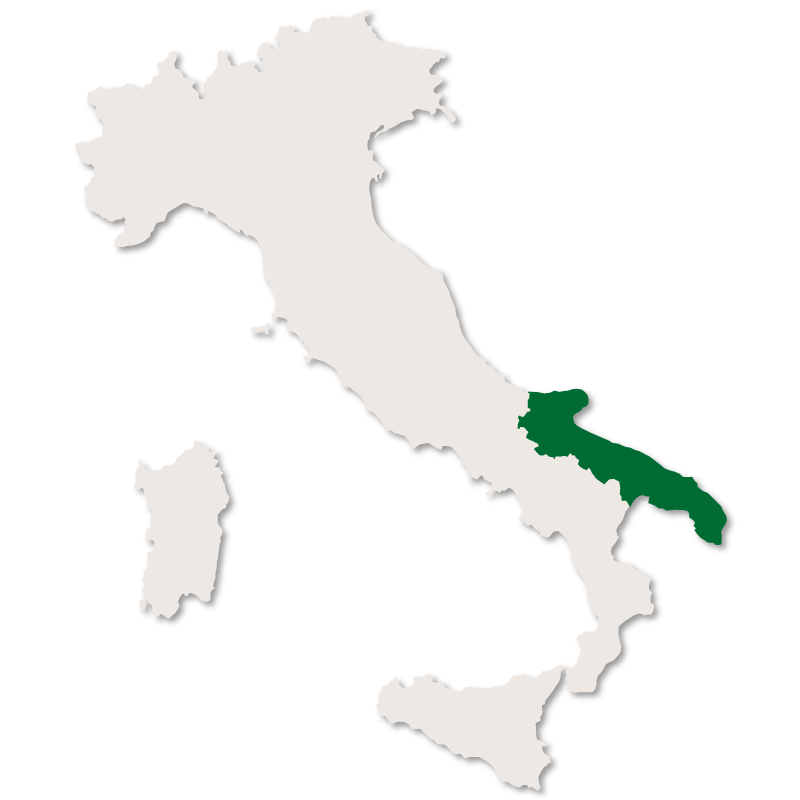 Cisternino is a small town in the province of Brindisi, Puglia, southern Italy. 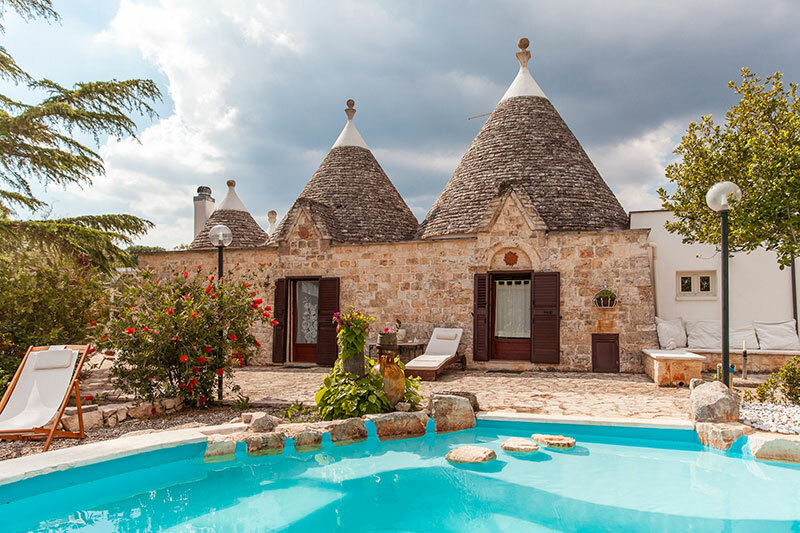 It is one of the prettiest towns in the region and is located 394 metres above sea level facing south west onto the historic Itria Valley, an area famous for its conical, dry stone houses called Trulli. 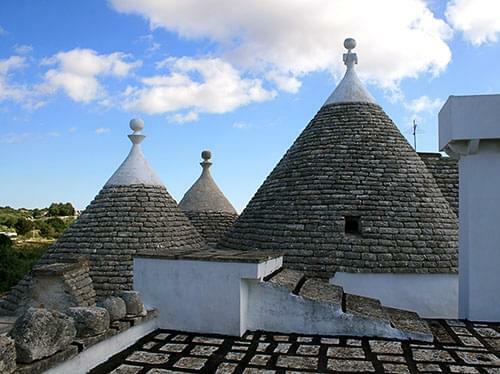 These trulli are protected by UNESCO due to their cultural importance. 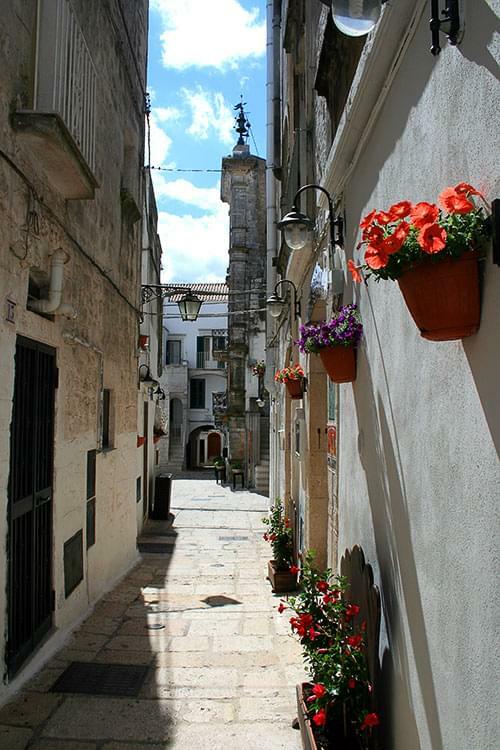 Like many of the towns in the Itria Valley, Cisternino has the typical, charming old town centre which is full of white-washed historical buildings and houses, all joined by a network of narrow, winding streets. The streets open up every now and then into piazzas with bars and shops and there always seems to be a surprise hiding around every corner in this alluring white town. 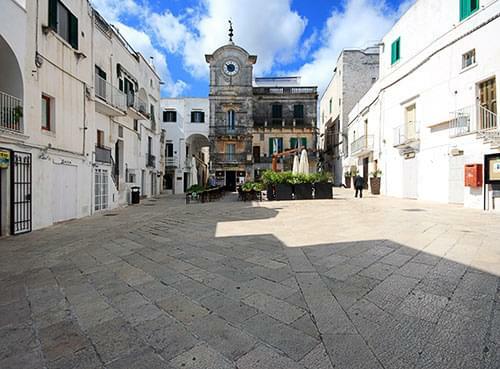 The main square, in the centre of the town, is Piazza Vittoria Emanuele, dating back to the 17th century and this is the heart of Cisternino and the place where all major events are celebrated. The prominent builiding in the square is the clock tower which was built in 1850. Torre di Porta Grande (or Normanno-Sveva) This tower, once the main entrance into Cisternino, was built in the medieval period and is seventeen metres high. At the very top there is a small statue of San Nicola di Bari. Palazzo del Governatore Built during the rule of Venice in the 16th century and was the seat of the city's govenor. It is tower shaped building and has large, wide arches on each floor. On the first floor the arch is supported by pillars and is decorated with Renaissance motifs. Palazzo Vescovile The Bishop's Palace is a 16th century building with a late renaissance style facade on which there is the coat of arms of the bishop-baron. Palazzo Amati Dating back to the middle ages this is a distinctive building with a tower to one side. Chiesa madre di San Nicola Built in the 14th century by Byzantine monks on the site of an ancient place of worship for the Basilian monks. Palazzo Lagravinese, Palazzo Devitofranceschi and Torre Capece. Just outside of Cisternino is the Santuario della Madonna d'Ibernia which is surrounded by land in which many pieces of pottery and other artifacts which indicate that the area was inhabited during Roman times. 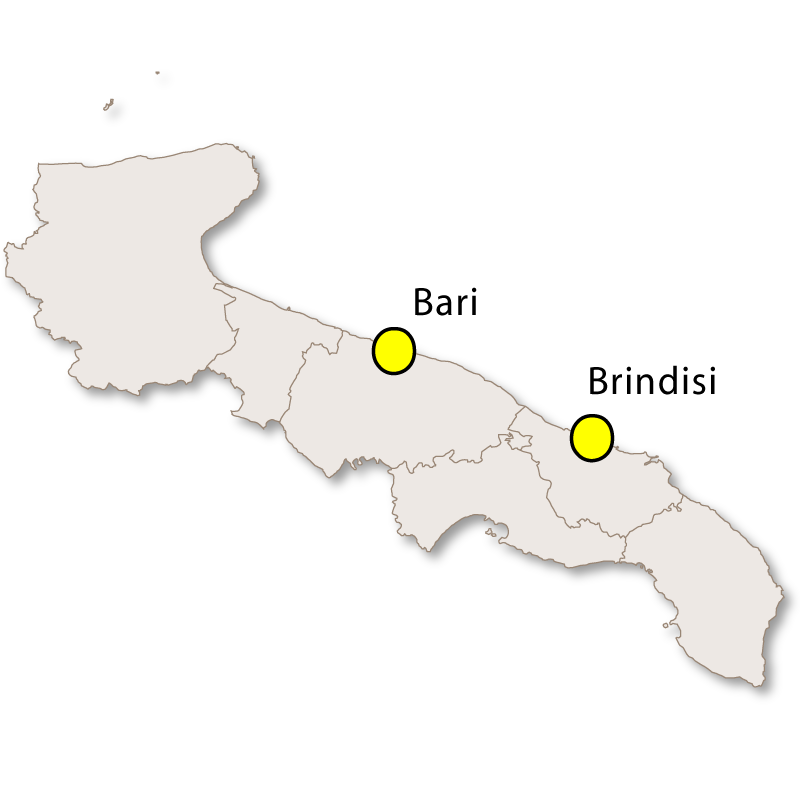 Tourism is the main activity of Cisternino, partly due to the fact that the town is ideally placed between two airports, Brindisi and Bari, both of which are less than an hour's drive away. 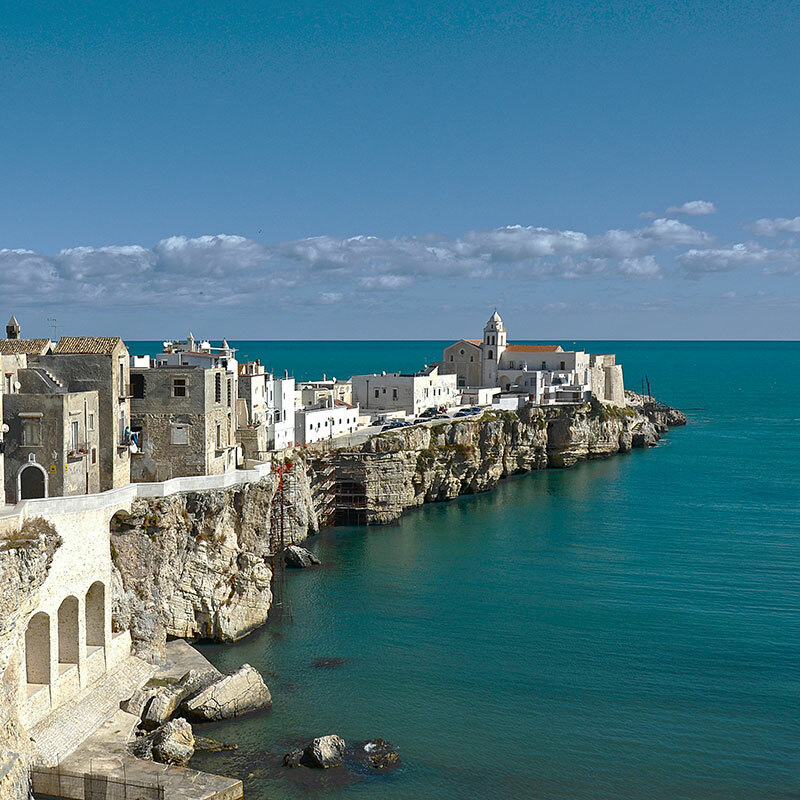 A wonderfully warm climate, beautiful countryside, the Adriactic coast and good food certainly add to the attraction of the area. Another big attraction is the Ashram of Cisternino, also known as the Bhole Baba Foundation, which is a meditation and yoga centre, often described as a paradise of senses. 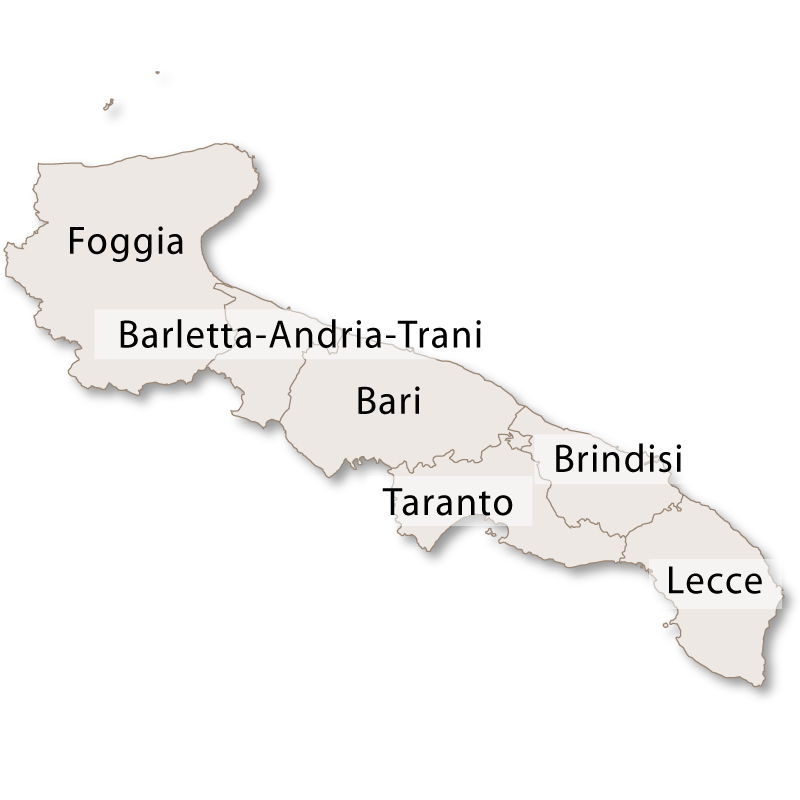 Outside of tourism, Cisternino and the surrounding area has rich soil and there is a tradition of dairy farming and the growing of olives and grapes. 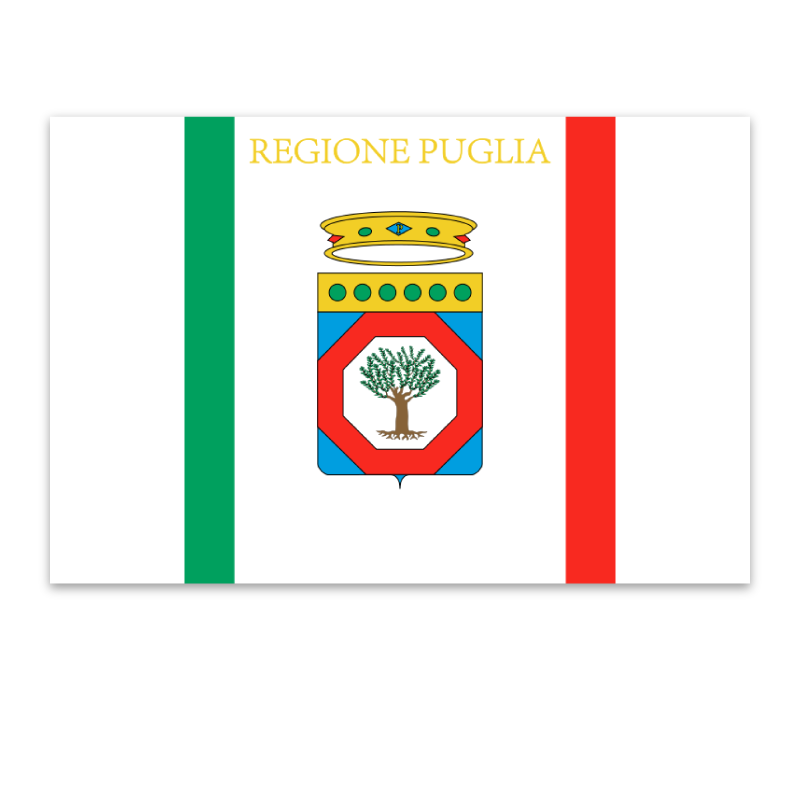 Puglia, at your own pace. 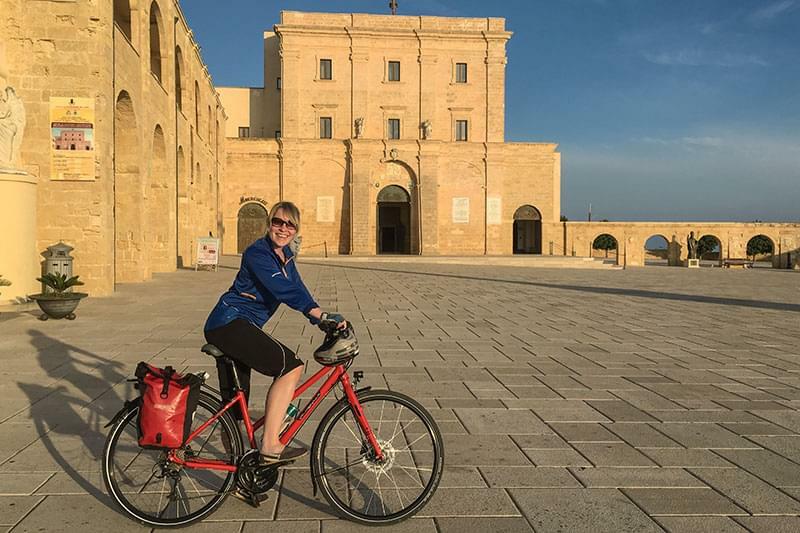 Explore Puglia on foot or by bike, savouring life’s simple pleasures. We select properties on the basis that the basic necessities, modern comforts and added personal touches are part and parcel of your holiday home.